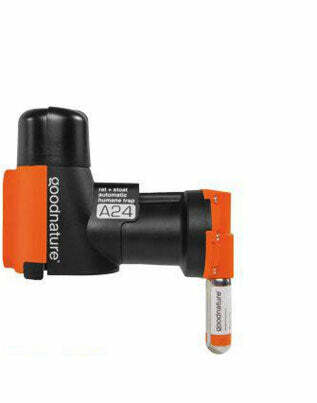 Automatic Trap Company is the exclusive North American distributor for the Goodnature™ A24 Automatic Rat and Mouse trap. We are currently building a network of PCOs (Pest Control Organizations) and resellers across the United States. We are looking for PCOs that are able to assist customers with the design, placement, and maintenance of A24 trap networks and systems. The A24 trap by itself is not the entire solution; we recognize the value that pest control technicians offer, both in terms of understand rodent behavior, as well as premises fortification and of course any other non-vertebrate pest control issues. You are a licensed Pest Control organization or technician. You must include a Resale* or Tax Exemption Certificate and your Federal Tax ID (EIN) must be provided with your application. Automatic Trap Company reserves the right to deny distributor terms and pricing for any reason at any time. Please complete the form below. We will contact you soon after to verify any additional information and send you a distributor price list.